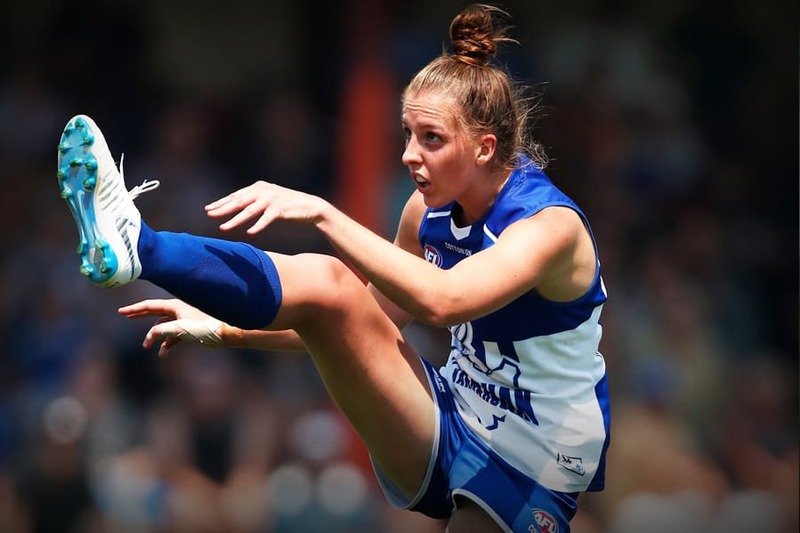 A dominant season as a ruck/forward has seen Emma King finish highest amongst the North Melbourne Tasmanian Kangaroos' players at the AFLW Awards, and fourth overall. The towering tall started fast, polling four votes after just two games of the home-and-away season. At the midway point of the count, King was second with seven votes, just four points behind eventual winner Erin Phillips. King was the best performed Roo, finishing one vote ahead of ball magnet Jenna Bruton and line-breaking back Jess Duffin, who both finished with six votes apiece. Managing dual ruck and forward responsibilities, King finished the season with eight goals, averaging 3.4 score involvements. She finished sixth in the league for hit-outs. The 24-year-old also earned selection in the 2019 Virgin Australia AFL Women’s All-Australian team, listed on the interchange.